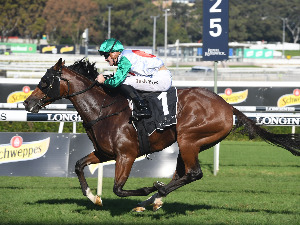 Zac Purton believes that emerging galloper Dinozzo can progress through the grades and potentially push towards some better races, but the gelding must first deal with some smart Class 3 rivals in Wednesday night’s (30 November) Australian Turf Club Trophy Handicap (1800m) at Happy Valley. 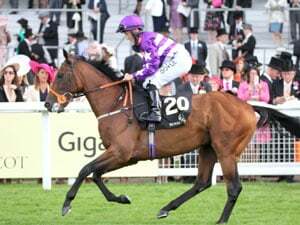 John Size-trained Dinozzo (127lb) arrived in Hong Kong as the winner of his only start in Ireland, a two-year-old auction maiden at Navan last October when prepared by Ger Lyons. His first local preparation came to an end without the horse stepping out at the races after suffering a pelvic fracture during a barrier trial in April, but this time around has been comparatively smooth sailing for the three-year-old. The son of Lilbourne Lad made his Hong Kong debut over 1650m at Happy Valley on 19 October with Purton aboard. He loomed up as a winning chance that night but struck minor trouble near the 150m and finished third in a Class 3 won by Wah May Baby. He returned to the Valley three weeks later and stepped up to 1800m, where he was the only galloper to make up significant ground for second in a race that was dominated on­-speed by apprentice Kei Chiong aboard Packing Dragon. “His two runs have both been good,” Purton said at Sha Tin this morning (Tuesday, 29 November). “Obviously his first start, he struck a little bit of interference in the straight when I felt like he was going to be right in it. And then last time, the leader just got it soft and was able to pinch a break on us. Dinozzo meets a familiar rival in Danny Shum-trained Inventor (130lb), who finished second to Wah May Baby before a last-start third to Packing Dragon. 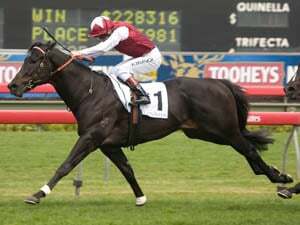 Jockey Nash Rawiller, who has formed a strong partnership Inventor, believes the son of Australian Derby winner Don Eduardo is racing like a horse in need of further now, although he also says his honesty will take him a long way. 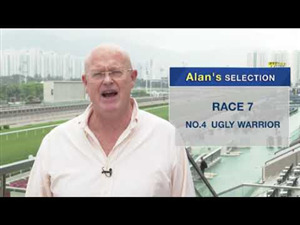 Inventor’s stablemate Sharp Sailor (125lb) was luckless last time out at Sha Tin, striking severe trouble in the concluding stages as he finished fifth behind another stable companion in Redwood Baby. A win in the Australian Turf Club Trophy Handicap would have special significance for jockey Sam Clipperton, who hails from Sydney and regularly rode at the four tracks managed by the club – Randwick, Rosehill, Canterbury and Warwick Farm – before his move to Hong Kong in August. “It does feel a bit like my worlds are colliding here,” Clipperton said. “The Australian Turf Club was where it all began for me, while Hong Kong is now my home and hopefully where I will be for a while. Hopefully I can win this race, it would mean a lot. Clipperton rides Lotus Strikes Back (123lb) for John Moore, and while he admits the horse is inconsistent, he believes the chestnut gelding can improve his chances if he can jump away quicker. The Australian Turf Club Trophy Handicap, which also features in-form gallopers Victory Boys (118lb) and Royal Partner (116lb) is scheduled as the seventh race on Wednesday night and is set to jump at 10:15pm. In the night’s other feature, the Class 3 St Andrew’s Challenge Quaich Handicap (1200m), David Ferraris-trained Sharp Hunter will be aiming to make it three wins in a row, a remarkable feat given that until the start of October, the seven-year-old had only won one of 30 Hong Kong starts. That sole win came in April 2014 in Class 3, but after more than two years in the wilderness, Sharp Hunter (119lb) has found his best form to record back-to-back wins down in Class 4. Regular rider Douglas Whyte admits that the return to Class 3 is a concern for the son of Choisir but believes there are a number of factors which are different this time around. 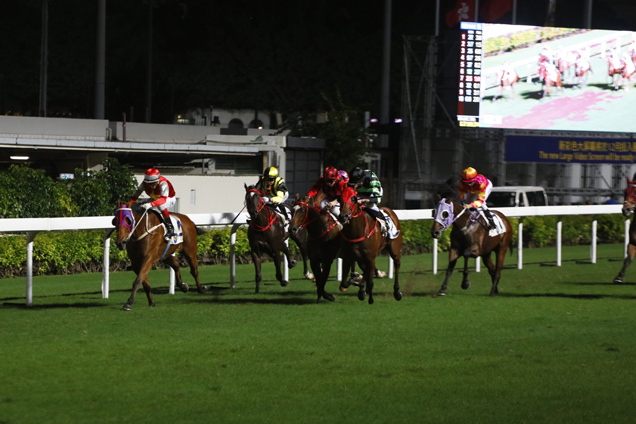 The St Andrew’s Challenge Quaich Handicap is the sixth race and will jump at 9:45pm, with the first race at Happy Valley set for 7:15pm.